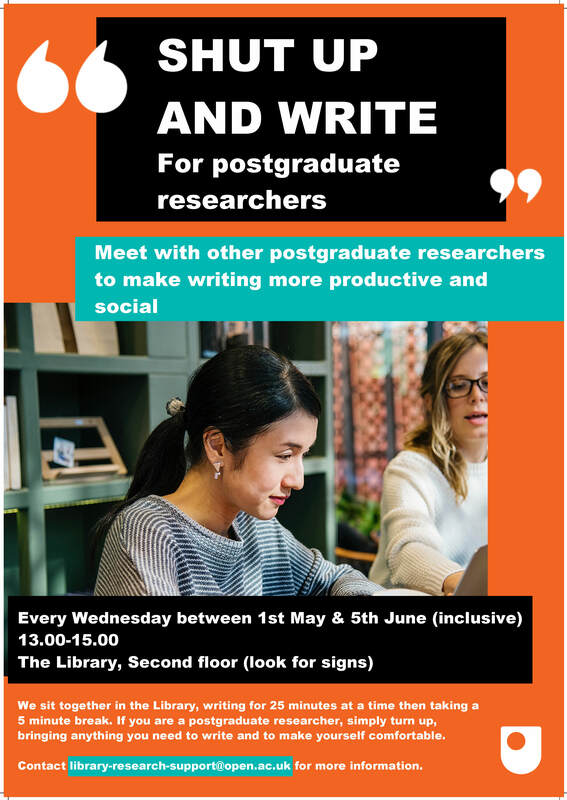 Library Services are starting Shut Up and Write sessions for postgraduate researchers (PGRs) on campus in Milton Keynes*. 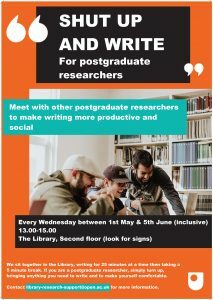 Sessions involve meeting with other PGRs in the Library building, writing for 25 minutes at a time then taking a 5 minute break. The idea is to make academic writing more productive and social. 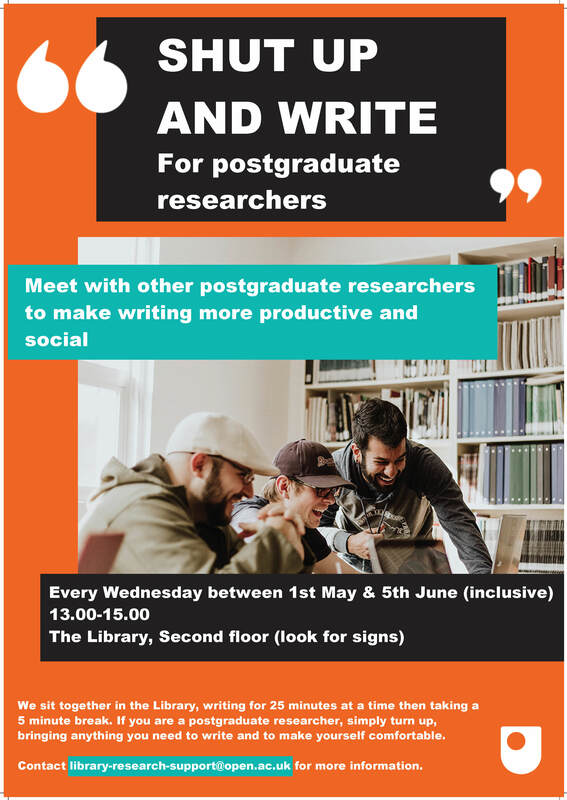 If you are a PGR then simply turn up, bringing anything you need to write and to make yourself comfortable. 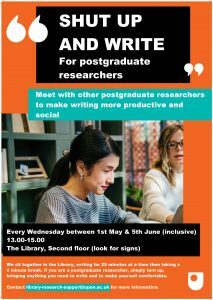 The first session is Wednesday 1st May, 13.00-15.00, using desks on the second floor of the Library. Signs will be put up on the day to guide you. Subsequently, sessions will take place every Wednesday, 13.00-15.00 in the same place (unless notified otherwise). This will run on a pilot basis for 6 weeks in the first instance. If successful, Shut Up and Write will be continued. Contact library-research-support@open.ac.uk if you have any questions. *Details of the Betty Boothroyd Library’s location can be found on our Contact us page and on the campus map. This entry was posted in Library research support, Research Students and tagged academic writing, PGRs, postgraduate research, postgraduate researchers, research students, shut up and write. Bookmark the permalink.